You will find a wide range of pocket balances on our web site (with a strong protection/universal use) . These economical pocket balances are portable and solid. They are able to perform many functions such as piece count functions or tare functions. BT series pocket balances are the most demanding due to their sliding housing and overall backlight touch screen. High-precision AS series pocket balances have a hard housing as protection against external agents and a stainless steel weighing plate. 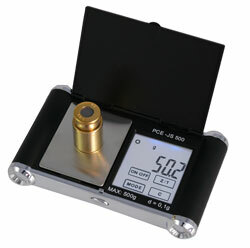 Weight range of the pocket balances is from 100 up to 1000 grams depending on the model. If you can't find the pocket balances you are looking for, please contact us and we will help you find the best solution which suits your needs: UK customers +44(0) 23 809 870 30 / US customers (561) 320-9162. Our technical staff will advise you regarding our balances. Our engineers and technicians will be happy to help you with the pocket balances, and of course, with the other products in the field of regulation and control, and measuring instruments. Here you can see our best-seller pocket balances Both balances have a folding housing and a sliding device to protect them from damage when they are carried. 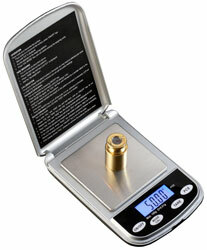 Weight range of these pocket balances is up to 100 g or 250 g.